Wish to make your fairy tale dream comes true? Fascinating your Hokkaido winter dream experience that evokes fairy tale impressions that would please the inner Hansel or Gretel in you. More than that, indulge in a relaxing hot spring moment with our exclusive hot spring experience in Sounkyo, Jozankei and more in the company of memories well spent. Assemble at Home Country Airport for your light to Chitose via Tokyo (Haneda/Narita). 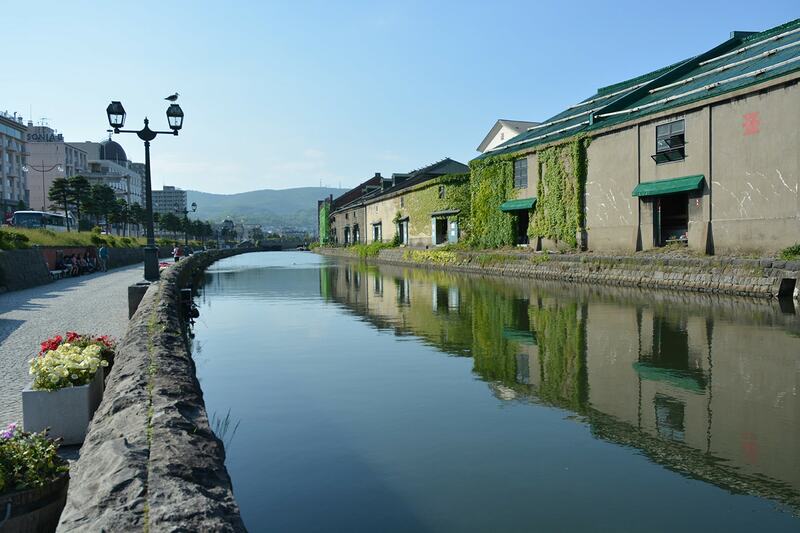 Talk About a genteel welcome to Hokkaido: your first stop will be the evocative Otaru Canal, where charming century-old stone warehouses line both sides of the canal. The genteel theme continues at Otaru Orgel Music Box Museum, where whimsical displays of beautifully crafted music boxes will delight even the grumpiest of cynics. Thereafter, create pause – you are on holiday after all – and enjoy a quintessential afternoon tea. Take home an exquisite porcelain teacup as a complimentary keepsake. Visit a glass-craft workshop and pick up more mementos at Kitaichi Glass. After breakfast, go to Odori Park. Located in the heart of Sapporo, this beautifully manicured green space is a charming assembly of monumental fountains, sculptures and flowerbeds. Sometimes, love and fresh air is all you need. Next, stop at Ishiya Chocolate Factory. Fashioned in a distinctively Tudor-styled building that evokes fairy tale impressions, this purveyor of quality confectionary is an institution unto itself that would please the inner Hansel or Gretel in you. Thereafter, stop by Otokoyama Sake Brewery and Museum in Asahikawa to learn more about the production process of one of Japan’s finest sakes. You will also get the opportunity to sample different types of sake. Tonight, wind down and indulge in a relaxing mineral hot spring bath at an onsen resort in Sounkyo, in the company of memories of a day well spent. Get up close and personal with huge polar bears, furry white foxes and chubby and adorable penguins at Asahiyama Zoo from December to March (closed on 30December to 1 January). Today, Hokkaido’s rich tapestry of beautiful natural sites awaits. Make your way to Sounkyo Gorge, situated at the valley of the imposing Mt Daisetsu-zan. The mountain is accented by rugged, jagged cliffs that are criss-crossed with two famous waterfalls, Shooting Star Falls and Milky Way Falls. Bask in the sight of it all, for there is nothing quite like the majesty of Mother Nature to lend life’s perspectives. Tonight, indulge in a hot spring bath at an onsen resort in Tokachigawa. With its natural geothermal properties, the hot spring water will leave your skin feeling silky smooth for a good night’s rest. Enjoy a morning photo stop at picturesque Lake Toya and Mt Showa, the volcanic lava dome. The phrase “grin and bear it” takes on a more literal and positive spin at Showa Sinzan Bear Ranch, with your introduction to the facility’s bevy of adorable bears. These bears are trained by professionals to delight visitors just the “bear” necessities: to wave and greet visitors upon their arrival. You may photograph and feed these fuzzy animals at your own expense. You may also pick up skincare products derived from horse oil at the local souvenir shop. Thereafter, take a step back in time and immerse yourself in the history of fabled samurai, townspeople and the occasional courtesan at Noboribetsu Date Jidaimura, a theme park lined with Edo era style architecture. Your day will reach a boiling point as you traipse through the sulphurous valley to experience boiling ponds and steaming streams at the famous Jigokudani, also known as Hell Valley. End your day with an invigorating sulphuric hot spring bath at an Onsen Resort in Noboribetsu. This morning, enjoy a leisure drive back to the epicenter of Hokkaido, Sapporo, taking in views of the passing landscape along the way. If all that travelling has you thirsting for some boozy education, you are in luck. Make a stop at a local beer factory where you will learn more about the production process of one of Japan’s finest beers. Next, go all out and embark on a shopping spree at Mitsui Outlet Mall Park Kitahiroshima, a newly minted outlet mall that boasts a plethora of domestic and imported brands under one roof. The retail therapy continues at the famed Tanukikoji Shopping Arcade, the longest shopping street in Hokkaido. Spend the night in Sapporo city as your survey of fascinating Hokkaido draws to a close. Transfer to airport for you flight back to Home Sweet Home.